The rapper has taken to Twitter to air his views about shirtless snaps that have set tongues wagging. 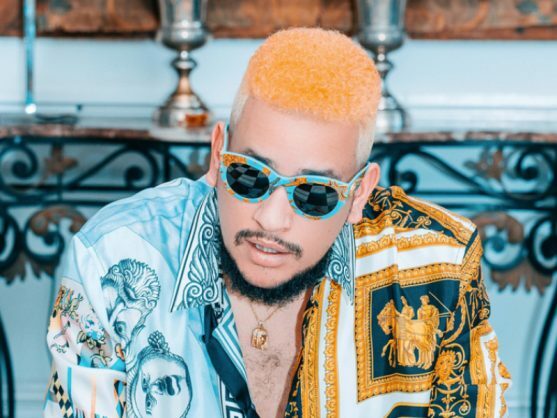 Rapper AKA has taken to Twitter to address rumours of him being gay after pictures of “him” dancing shirtless with another man went viral online over the weekend. The images led to a lot of fans and followers to speculate whether or not AKA (real name Kiernan Forbes) was gay or at the very least bisexual. The fact that AKA seemed to be wearing just his underwear in the picture only added fuel to the fire. Your fav rapper. That explains the new hairstyle ???????????????????????????????? Coming out vibes ???? In typical fashion, however, AKA was having none of it. First up, AKA denounced the authenticity of the pictures, saying there was no way he’d ever strip down to his underwear in public. So wait …. I got naked down to my underwear at Blue Room the other night??? ???????????????????? … y’all reaching. AKA additionally pointed out that his level of fame was such that if he had stripped down to his briefs, there would be more than just a couple of pictures of him doing it. But perhaps the best retort AKA issued was the fact that he wasn’t bothered if anyone thought he was gay. In fact, he’s more concerned with the idea that people would think he’d strip off his jeans in public. I’m not bothered by being called “gay” … what I am bothered by is that you guys think Im so lit I would take my pants off in a club after a show ???????????????????????? While some followers still asked questions about AKA’s sexuality, a lot of his followers echoed his sentiments, rightly asking why it mattered at all.